This past month, I read Sarah Mackenzie’s fantastic book The Read-Aloud Family. In one section, Sarah writes about how, when we read aloud to our kids, we plant seeds. Our job is simply to plant and nurture; “what the seeds grow into—what they become and how they nourish the life of your child—that’s a mystery both to us and to them. That is up to the Master Gardener alone.” This is true for children, but I’ve been thinking about how it applies to all of us, and not just with books, but with all of life. We do the planting as we walk through the world, gathering experiences and information; how those seeds of experience mature and grow remains to be seen. Some might develop into lifelong lessons, some may flourish for a season before withering away, some may never take root. The important part is simply to plant and nurture. The planting is accomplished through living; the nurturing requires a bit more work and, for me, this act of recording what I’m learning is part of that process. These monthly lists of what I’ve learned showcase those seeds in various stages of growth. A few items on the list will never grow past seedlings—the bits of trivia that serve a purpose for a time, then slip away. A few are full-grown trees, the culmination of years of nurturing and growth. Other items are partly grown, but have much further to go. Perhaps a few of my seedlings are being planted in you as you read through them; how exciting to think of what they may one day become! 1. It takes only 20 hours to become proficient in a skill. We’ve all heard the statistic that it takes 10,000 hours to master a new skill. This may be true if we hope to become the top of our field, but with most skills, we aren’t hoping to reach world-class performance. According to Josh Kaufman, we can learn nearly any skill with just 20 hours of focused, deliberate practice. That’s the equivalent of just 40 minutes every day for a month. I don’t know about you, but I find this incredibly empowering. Now I just need to decide on a skill to learn! 2. Millennials are not the most phone-addicted generation. According to just about everyone, millennials (of which I am one) are the worst. But apparently, one area where we aren’t ranking so poorly is that of phone addiction. Research by Nielsen recently found that adults ages 35 to 49 (Gen Xers) used social media 40 minutes more each week than those aged 18 to 34 (millennials). Gen Xers were also more likely than millennials to pull their phones out at the dinner table, and Baby Boomers were even worse. In fact, the older generations spend more time than millennials on every type of device—phone, computer, and tablet! 3. Some shows just never get old. 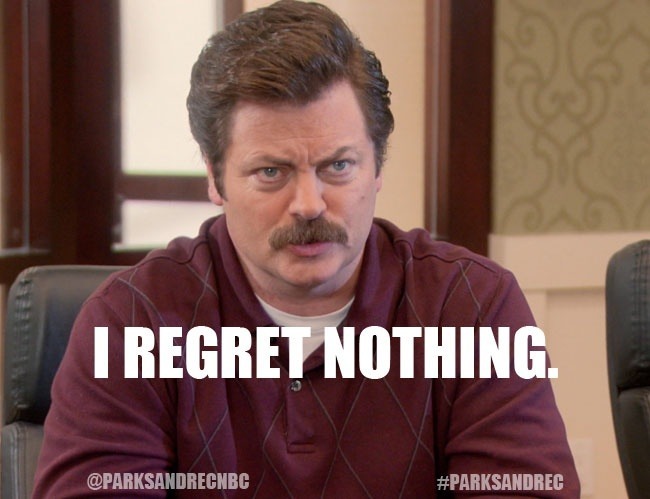 Luke and I are between shows right now, and on the occasional night when we get a chance to sit down in front of the TV, we’ve been watching reruns of Parks and Recreation. We’ve watched through the entire series at least three times (and we’ve seen the earliest seasons even more), but this time ’round we’re laughing just as hard as ever. Some of the themes and jokes (particularly the racial or homosexual ones) do feel a little out of touch in today’s more sensitive culture, but for the most part this is one show that I don’t think I’ll ever not love. 4. Bob’s Red Mill is built on a Christian business model. I’m a frequent buyer of Bob’s Red Mill products and enjoyed hearing the company’s origin story on this podcast. I’d had no idea that Bob Moore was a Christian (a seminary dropout, actually!) and that his idea for starting a grain business came from the book of Genesis. 5. 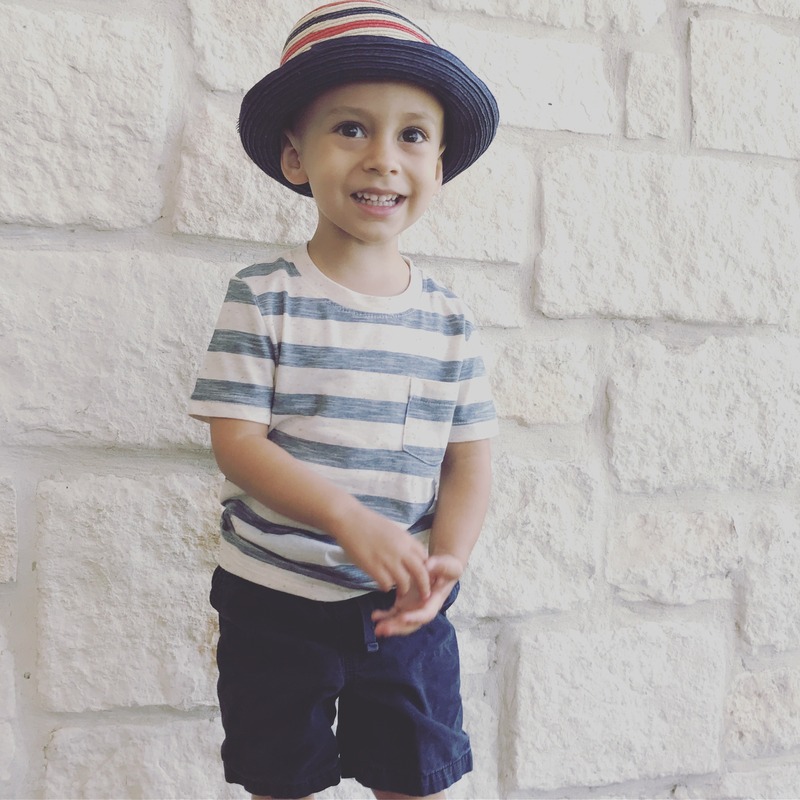 Having a 3-year-old makes me feel pretty dumb. My favorite part of having a child is getting to experience the world through his eyes. Charleston notices things that would never have crossed my radar, and he asked questions that I am totally unqualified to answer (and never would have thought of asking). Throughout the day Charleston asks questions about what I’m doing, how I’m doing it, and why. I love that his questions keep me accountable, but sometimes I get frustrated with myself for my inability to answer them. Mostly, though, I love that we are getting to learn things together. In three short years he has taught me far more about the world and about myself than I could ever teach him. I’m a pretty big fan of self improvement—objectively studying it, and also engaging in it myself. I’m aware that many people scoff at this sort of thing, but had never thought about why until listening to this podcast. As I listened I became aware of some of my own biases related to the topic, and since then it’s something that’s been coming up a lot for me. So much so that I plan to devote an entire post to it in the future. How do you feel about Self Help culture: are you for? Against? Neutral? I’m eager to dig deeper and to hear your thoughts as well. 7. 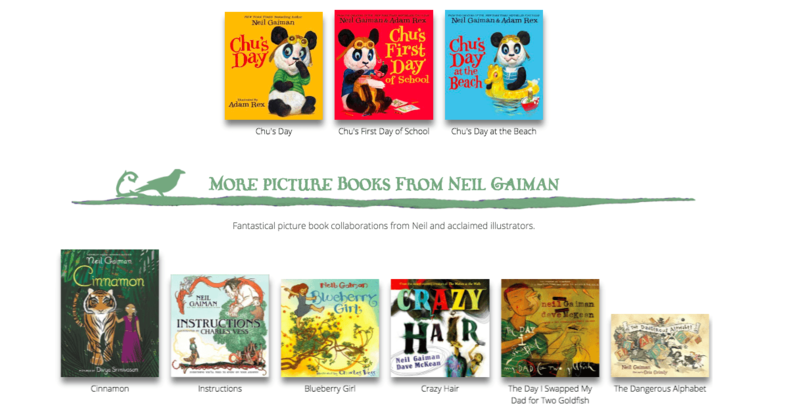 Neil Gaiman has authored some children’s picture books. Gaiman’s books for teens and adults aren’t really my cup of tea, but I admire his creativity and knack for storytelling. Given his propensity for dark, mature themes, I was surprised to spot his name on the shelves of our library’s Picture Book section. I checked out a couple of his Chu books for Charleston, and we both enjoyed them! They are definitely quirky, but when it comes to picture books, the quirkier the better! 8. Mama Bear Rage is definitely a thing. Last week, Charleston and I were out scootering and had to cross a busy street. We were at a crosswalk and technically had the right-of-way, but several cars were turning right in front of us so we were waiting until the roads cleared. I should have had my hand on Charleston’s, but we were each holding our scooters and he’s usually great about waiting for permission to cross, so it didn’t occur to me to hold him back. BIG MISTAKE! Seeing our light turn green, Charleston shot out into the street, nearly colliding with a vehicle turning into the crosswalk. I don’t know that I’ve ever been so scared in my life. I screamed and the surrounding cars blared their horns, and thank the Lord, that car stopped just in time. But the rage that I felt towards that driver for nearly hitting my child was nothing like I’ve ever experienced; I’m not sure what sort of physical harm I might have been capable of had I been able to reach through that car’s windshield. Many, many lessons were learned on that scooter ride, but the awareness of my Mama Bear fury was the most surprising. 9. 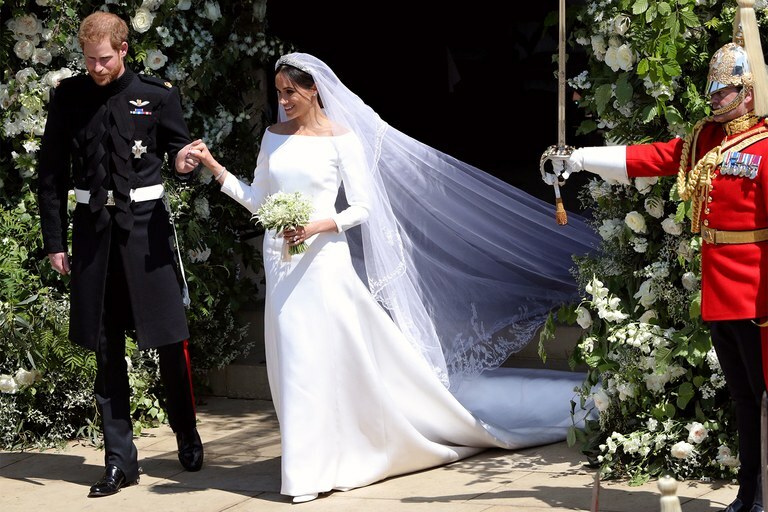 I cared a lot more about the Royal Wedding than I thought I would. 10. OverDrive is not the only way to check out digital books from my library. I’ve been using OverDrive for years and didn’t know there were any other ways to access digital content. This month I was on my library’s website and discovered I could also check out audiobooks and ebooks through an app called Hoopla. I immediately downloaded it and was amazed to discover I could check out books (and also music, movies, and TV shows) with ZERO wait! Titles can be downloaded immediately, no holds or waitlists. I’ve only been using the app for a couple of weeks; I’m sure I’ll be sharing more once I’ve had more time with it. There has been one unexpected downside, though: I’ve been overwhelmed by how many options are available to me. Which leads me to my next item. . .
11. I appreciate (and maybe even need) limitations when it comes to my reading life. I’ve come to expect that, if I want to read a book, I’ll have to 1) pay for it (which I’m usually reluctant to do) or 2) wait for it to come available at the library. I’ve generally been annoyed by this waiting period, but Hoopla has shown me that it may have been a blessing in disguise. The library’s limitations placed necessary boundaries around my reading life and kept me from feeling overwhelmed. I’ve long recognized the power and beauty of limitations for other areas of my life (particularly clothing choices and household routines); I hadn’t realized I needed them for my reading life, too. It turns out that too many books might be too much for me to handle. 12. 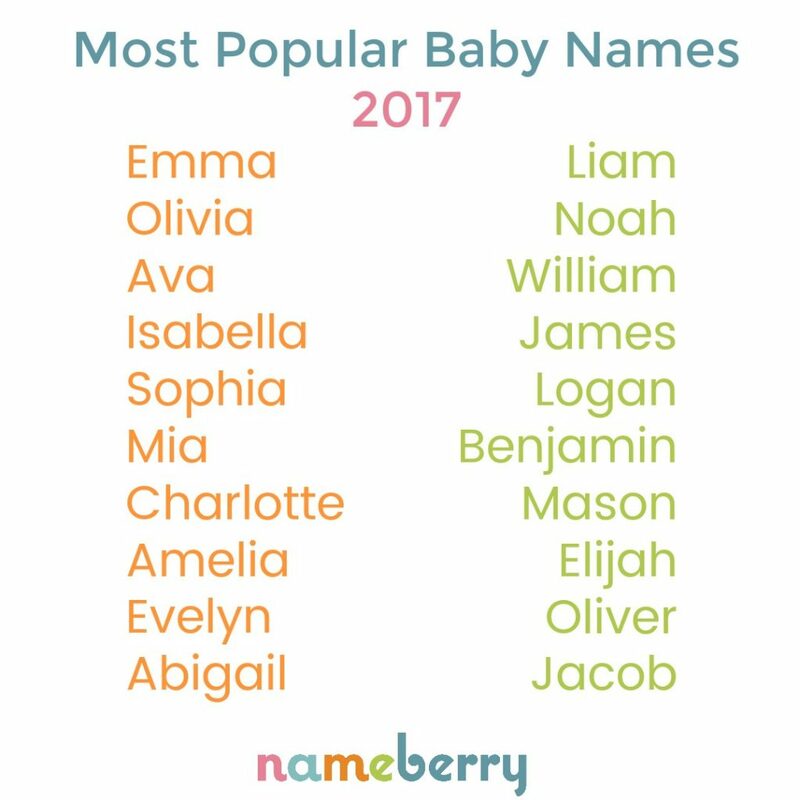 Liam is the new most popular name for baby boys. If you know me well, you know that I’m fairly obsessed with baby names. I read name blogs and study name lists like it’s my job, and I look forward to the SSA’s annual release of top baby names like a kid on Christmas morning. This year’s big news is that Noah, which had held the top Boy’s spot since 2013, was unseated by Liam. Other big surprises were the entrance of Amelia and Evelyn into the Girls Top 10, and Logan’s skyrocketing from #18 (in 2016) to #5. I was happy to see that Charleston is still well outside the top 1000; we chose the name for its uniqueness, so I’m so glad that it’s remained relatively obscure. If you’re into this sort of thing, check out this post which combines name spellings to determine the REAL Top 50 name list (which is quite different). 13. Puppies + rainy weather are a recipe for disaster. Arlo has presented his share of challenges in his two months with us, but the hardest by far has been the mess. Arlo still isn’t housebroken, so we have potty-related messes. And then there’s the shedding and the slobber, which can’t be helped. But worse than any of that is the dirt and grass he tracks in every time he goes outside (which is a couple times per hour). When it rains, that dirt turns to mud! Being part Lab, Arlo happens to LOVE the rain, and when it’s storming, he wants nothing more than to go outside and roll around in the mud. We try to circumvent this behavior by keeping him on a leash when we take him out in the rain, but that means we get soaked. (On top of our dog getting soaked, which makes him incredibly smelly.) Thankfully, we’ve had a dry spring so our mud baths and rainy excursions have been minimal. But they aren’t at all fun, and my knees ache from the amount of time I spend cleaning my floors. If you have any suggestions for how to make this situation better, PLEASE send them my way!!! 14. In-n-Out did not add a bacon avocado burger to its menu. A few weeks ago, a group of our friends was discussing favorite restaurants and the topic of In-N-Out came up. (General consensus: California transplants are solely responsible for keeping the Texas branches afloat.) 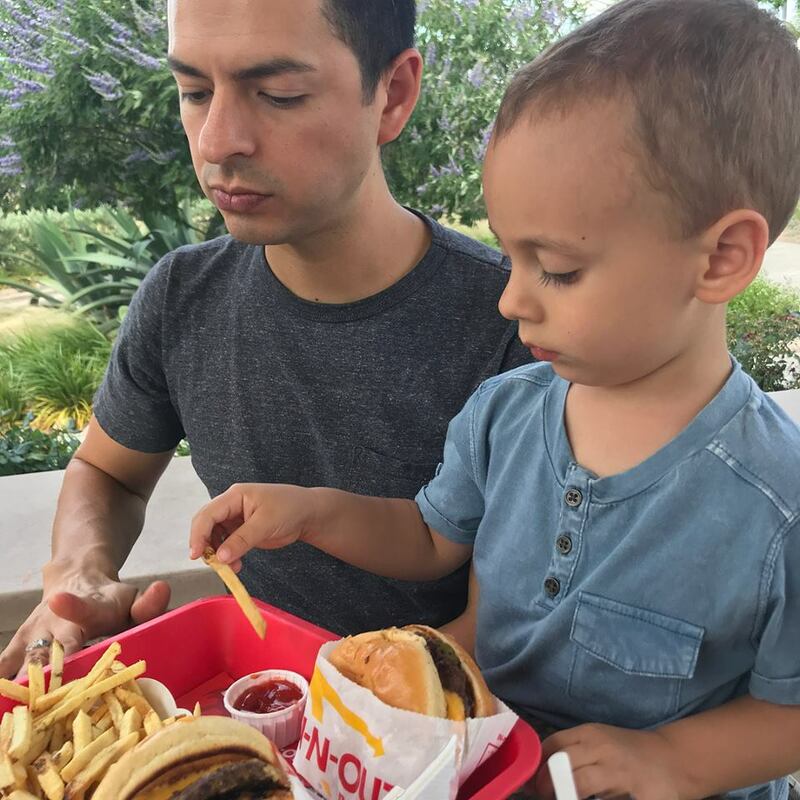 As we talked, one couple mentioned that the restaurant had just released a new bacon avocado burger, and Luke—whose love for In-N-Out nearly equals his love for avocado—couldn’t wait to taste it for himself. When we showed up, he was extremely disappointed to learn that the menu had not changed. Apparently the bacon and avocado rumor was started by an April Fool’s Prank that just keeps pranking. Of course, this didn’t keep my two boys from demolishing their traditional cheeseburgers and fries. I’m not a burger girl myself, but I support my boys and their deep enthusiasm for the quintessentially Californian burger chain. I began cultivating these monthly lists of what I’m learning four years ago, inspired by Emily P. Freeman. 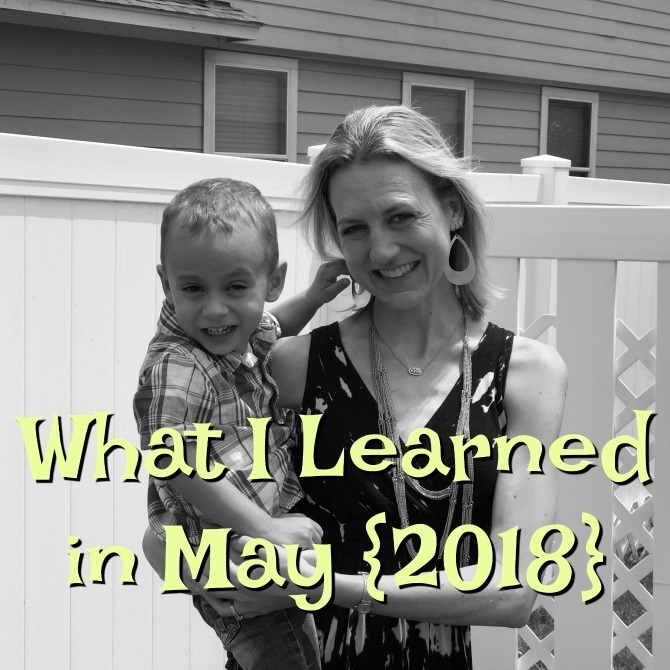 Today I’m linking up with Emily and a community of other bloggers to share what we learned this spring. What are a few things you’ve learned this season?